This has been an exceptionally special weekend for Victoria. 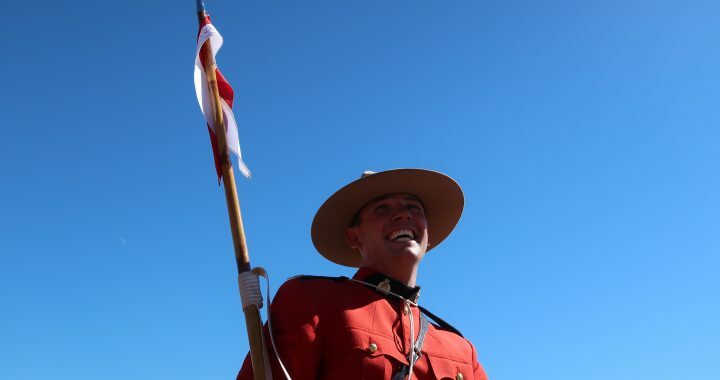 The RCMP Musical Ride at Topaz Park and Royal Roads was simply majestic with the horses and riders, the massed piped band and the 5th Regiment Band (RCA). We could not have accomplished this unqualified success without your support. The Victoria Military Music Festival Society thanks the following who contributed so much for our many, many visitors. We are grateful to the City of Victoria, the City of Langford and the City of Colwood. Thanks to our media partners CHEK TV, Black Press and Victoria Buzz and to all our partners representing the great diversity it takes to achieve this kind of event – Hunt Valley Farm, Victoria Therapeutic Riding Association, the Horse Council British Columbia, the West Shore Chamber of Commerce, Royal Roads University, HMCS Regina, Capital Physicians Group, Bettles Design, the Alpine Group, Coast Environmental, Raylec Power LP, and the Commissionaires. These two events, held over the weekend of August 26-27, 2017, was an unqualified success. There are so many others that should be thanked individually. We know who you are and extend our heartfelt thanks to each and everyone of you. To all those who volunteered you are all First Team All-Stars. TO OUR PUBLIC. As visitors to these events you added to the thrill. You were equally part of the Musical RIde. Horses, riders, volunteers, all felt the spirit of your presence. Know that the smiles from the riders and the bowing horse’s heads were to you. Canada’s 150th was clearly evident and you were all majestic. On behalf of the Victoria Military Music Festival Society we salute you!